Deutsche Bank's US subsidiary has failed the second part of the US Federal Reserve's annual stress tests due to "widespread and critical deficiencies" in the bank's capital planning controls. The Fed board's unanimous objection to Deutsche Bank's US capital plan marks another blow for the German lender. Its financial health globally has been under intense scrutiny after S&P cut its rating and questioned its plan to return to profitability. The Fed also placed conditions on three banks that passed the test. Goldman Sachs Group and Morgan Stanley cannot increase their capital distributions and State Street must improve its counterparty risk management and analysis, the Fed said. Deutsche Bank last week easily cleared the Fed's easier first hurdle that measures its capital levels against a severe recession, the strictest ever run by the Fed. The second test focuses on how the bank's plan for that capital, such as dividend payouts and investments, stands up against the harsh scenarios. Failing the US stress test would not likely affect the bank's ability to pay dividends to shareholders. 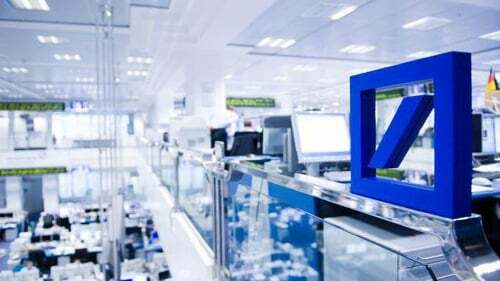 But it will require Deutsche Bank to make substantial investment in technology, operations, risk management and personnel, as well as changes to its governance. It also means the bank would not be able to make any distributions to its German parent without the Fed's approval and could potentially result in the bank further paring back some of its US operations. In a statement, Deutsche Bank said it had made significant investments to improve its capital planning capabilities as well as controls and infrastructure at its US subsidiary and would work with regulators to "continue to build on these efforts." The newly created US subsidiaries of six foreign lenders, Deutsche Bank, Credit Suisse Group, UBS Group, BNP Paribas, Barclays and Royal Bank of Canada, went through the test for the second time this year had their results publicly released for the first time. Deutsche Bank's results cover DB USA Corp, a holding company with $133 billion in assets, according to Deutsche Bank’s March filings. This includes all of Deutsche Bank’s non-branch US assets, including its mortgage lending and debt financing subsidiary, and its sizable Wall Street broker-dealer trading business. The test results follow months of turmoil for Germany's largest lender, whose shares are down 43% this year in Frankfurt. The bank abruptly reshuffled management in April after three consecutive years of losses. It then announced it would scale back its global investment bank and refocus on Europe and its home market. It has flagged cuts to US bond trading, equities and the business that serves hedge funds. But the stress test result will raise further questions among analysts and investors as to whether regulators should take a tougher line and even push the bank to more aggressively pare back its US operations. These included household names like JPMorgan Chase & Co, Citigroup, Bank of America and Wells Fargo, as well as major regional lenders like Capital One Financial, PNC Financial Services Group and US Bancorp. The US top regulator said it conditionally approved the capital plans for Goldman Sachs and Morgan Stanley whose capital levels had been adversely affected during the test by last year's changes to the US tax code. Those banks will maintain their capital distribution levels in-line with those paid in recent years to bolster their capital cushion, the Fed said. After the results were announced, Morgan Stanley said that it will distribute $6.8 billion, in line with last year's payout. Goldman Sachs said it would return up to $6.3 billion, including $5 billion through share buybacks and $1.3 billion in dividends, which will rise to a quarterly rate of 85 cents per share from 80 cents.